I tried. I truly did. I’ve read tons of those magazine how-to’s and how people can go 7 days with 4 key items and I’ve come to the conclusion that its a lie. I’m back home in NYC and though its a welcome change; a vacation it is not. I have to work all week (and dress up for three days… Sad 🐼), run errands for my mother, hopefully see as many friends as I can, and all while four squaring like a woman on fire! That being said; 4 key pieces wouldn’t do it. I think I did well (okay maybe I over shoe’d) but this is what 7 days for NYC looks like. 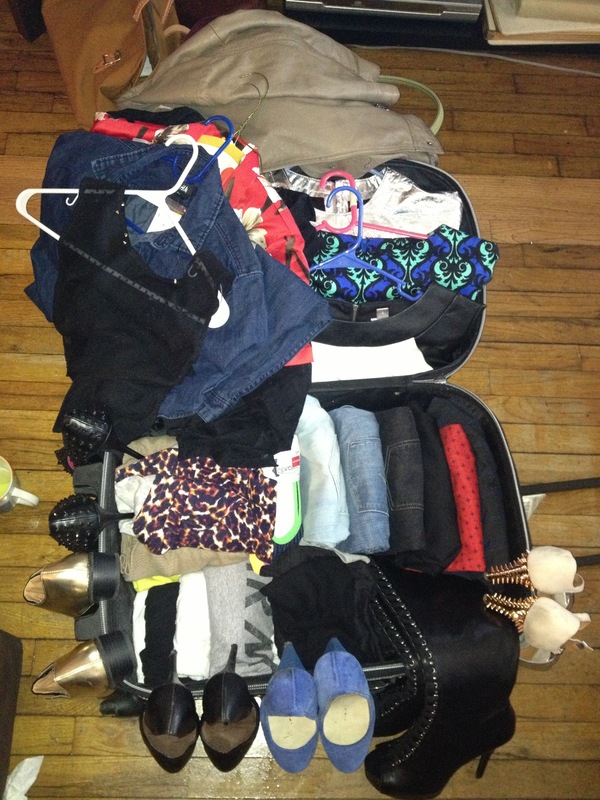 Technically this isn’t over packing for me, for 7 days this is VERY disciplined. And it’s the fall in NYC. There is no car (I have a car but I’m in full NYC mode… Who drives in this madness?!) to “protect me from the elements”. And I’m on a strict budget so there is no “I’ll buy what I’m missing”. Not only am I proud I made the 8 hour drive, I’m proud of my packing skills as well an look forward to sharing my NYC what I wore posts for the coming week!